When is the Rainy Season in Thailand and should you avoid it? 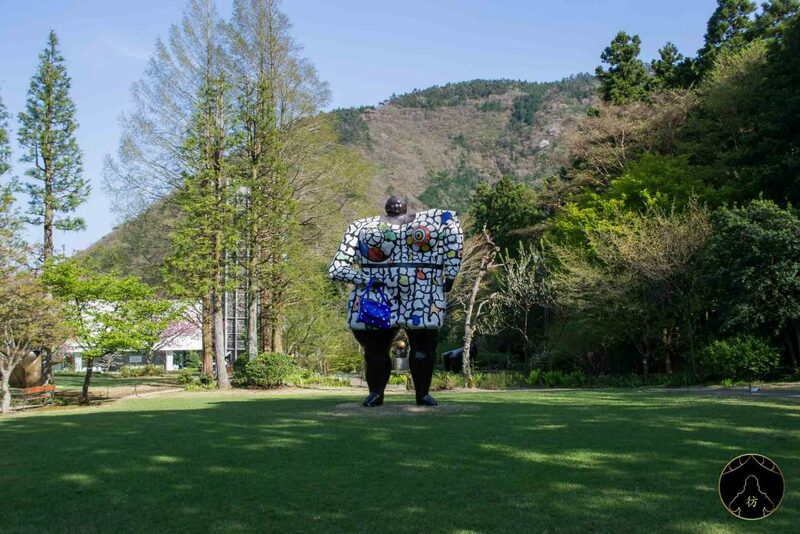 Hakone Japan – If you’re going to visit Tokyo (or happen to be there already) and would like to experience something different (maybe a bit of greenery for a change), Hakone is where it’s at! 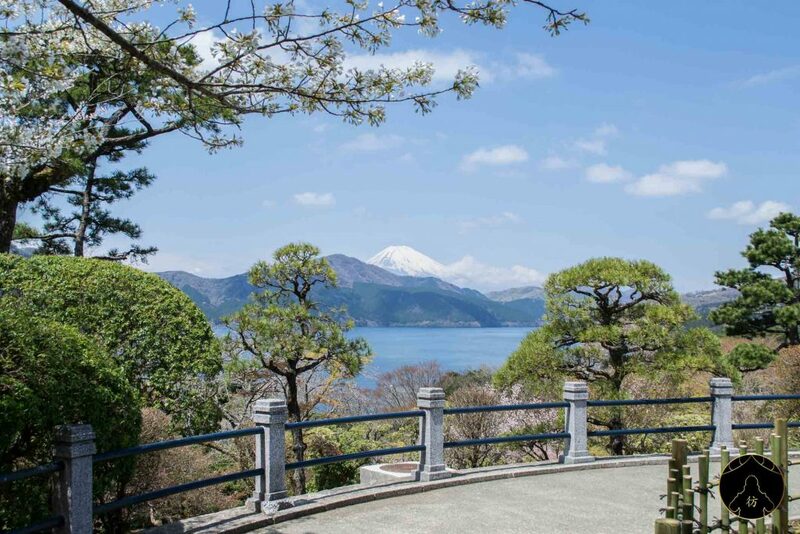 It’s only an hour and a half away from Tokyo and you’ll be able to go on hikes around Lake Ashi and contemplate the impressive Mount Fuji. 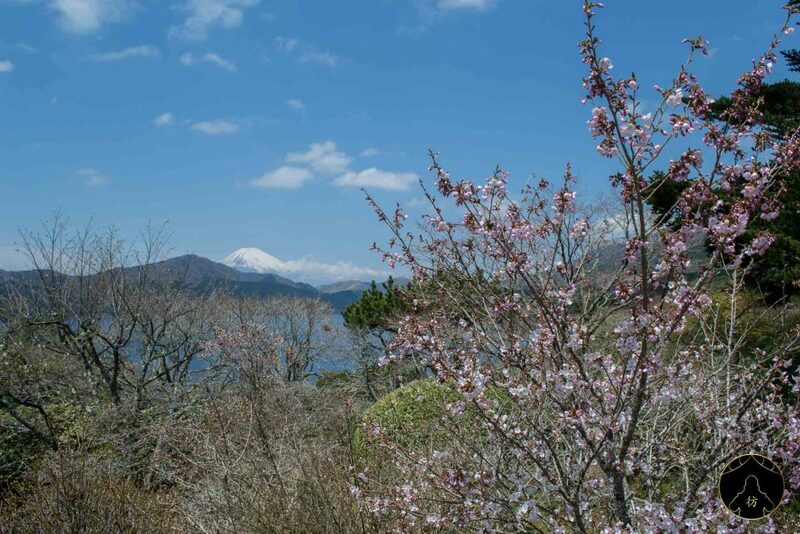 By the way, you will only be able to see Mount Fuji if the weather is clear enough so plan your trip on a nice, sunny day to make the most of it. 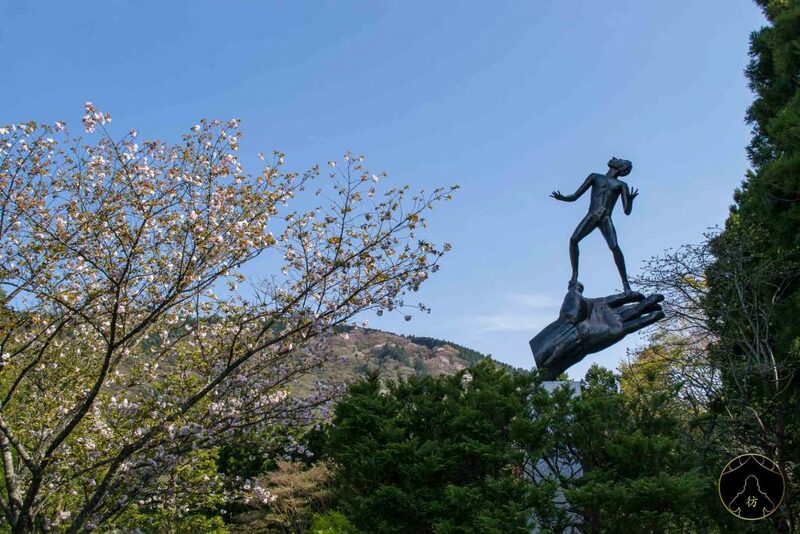 Let’s take a look at how you can get to Hakone and where you can stay before reviewing the main attractions you can visit. 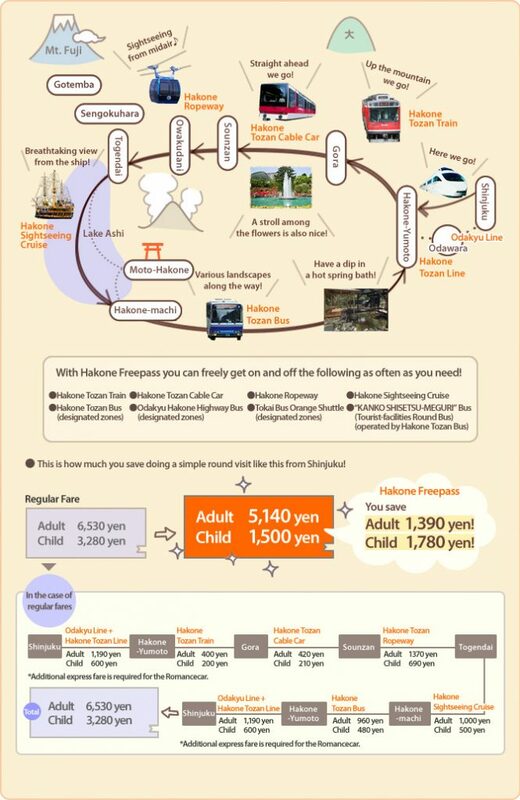 The train is your best option to go to Hakone. 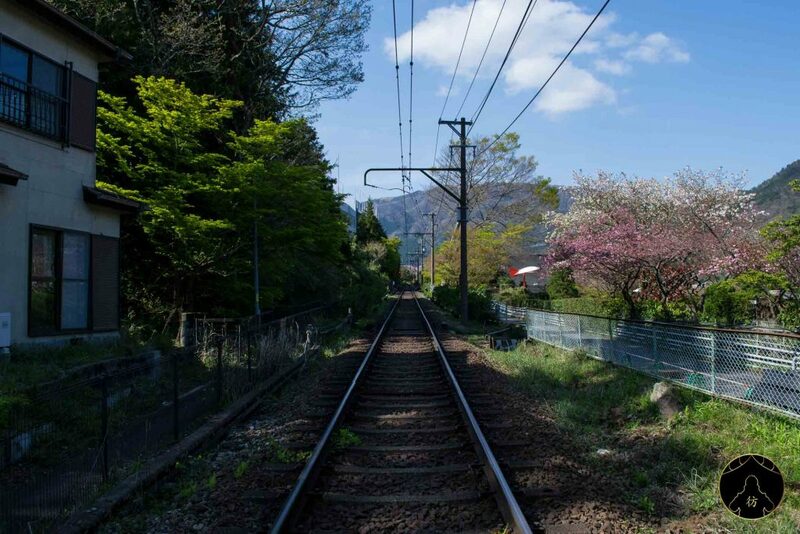 In fact, the Odakyu Line will take you to the Hakone Yumoto station. The train ticket from Tokyo isn’t really expensive; what’s really expensive is transportation in Hakone. But don’t worry, the Freepass will make things much easier for you and will even allow you to save some money. 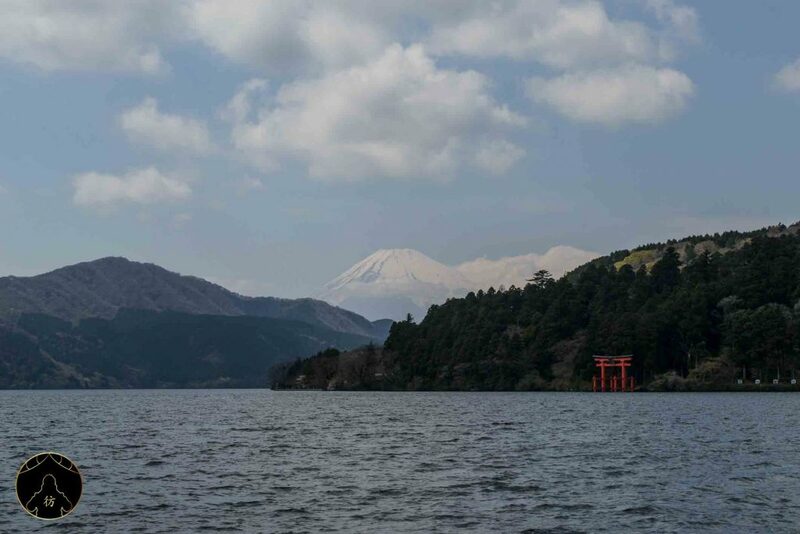 The Pass includes a round-trip ticket from Shinjuku, Tokyo, unlimited access to local bus lines, free boat trips on Lake Ashi and free cable car trips. Have a look at this area map for more info. 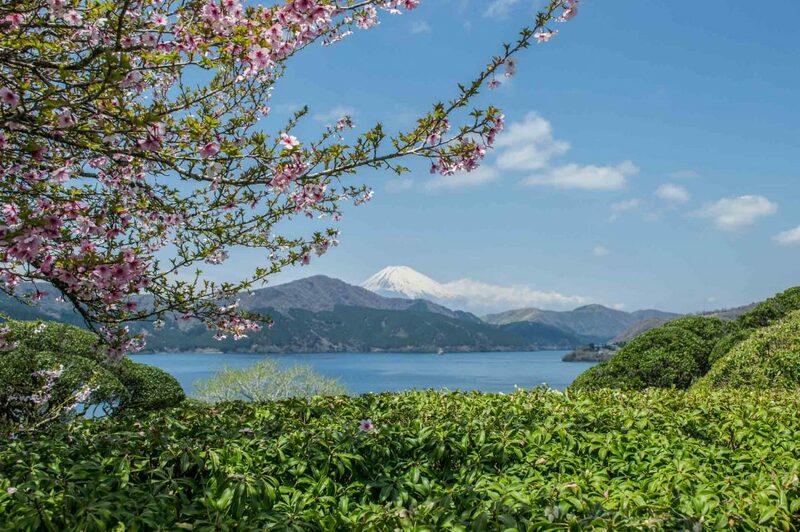 The Hakone Freepass will allow you to travel to Hakone for much cheaper and will even give you access to many onsen and museums for discounted prices. 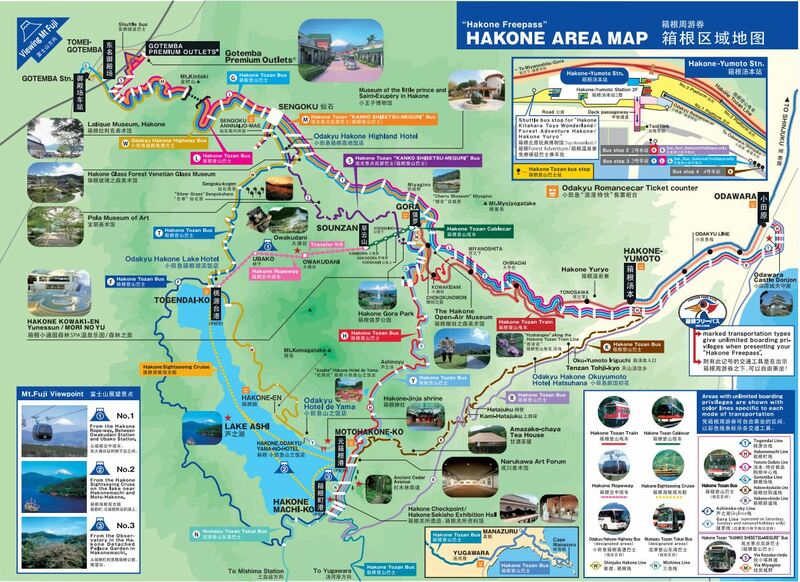 So if you’re not in a hurry and can afford to stay in Hakone for three days, by all means do, even though two days will also be enough to visit the area. You’ll have to buy an e-ticket online and will need to get your pass at one of many pick-up locations, including Shinjuku’s Odakyu station. 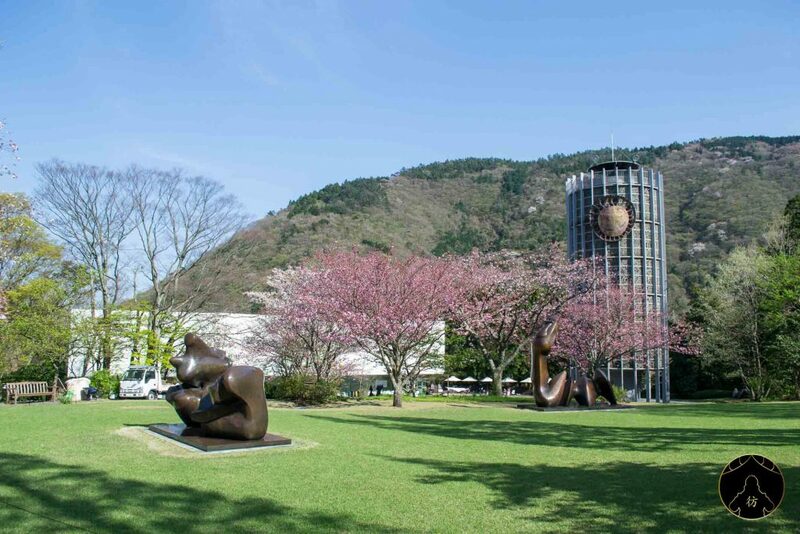 So get your e-ticket and show up at the Shinjuku Odakyu Sightseeing Service Center in Odakyu Shinjuku station to exchange it for the Freepass. They’re open from 8AM ‘til 6PM. 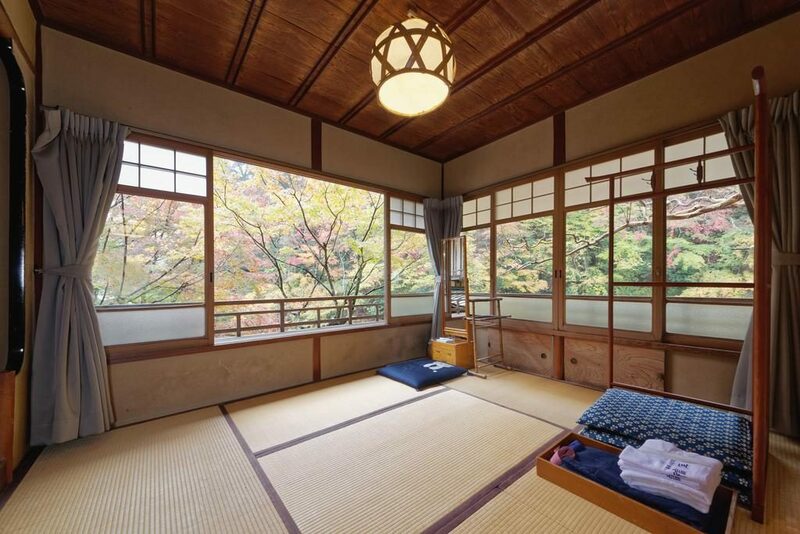 Ryokan are of course your best option when it comes to accommodation. Here’s a list of 5 great ryokan in Hakone you can try. If you’re on a budget and ryokan are too expensive for you, I recommend you try this hostel. 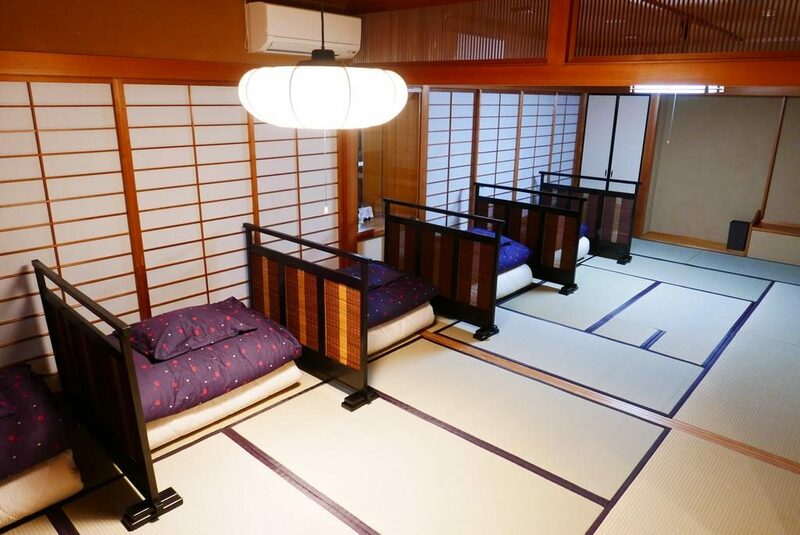 It’s relatively cheap and offers authentic Japanese-style rooms with traditional tatami mats and futon beds. 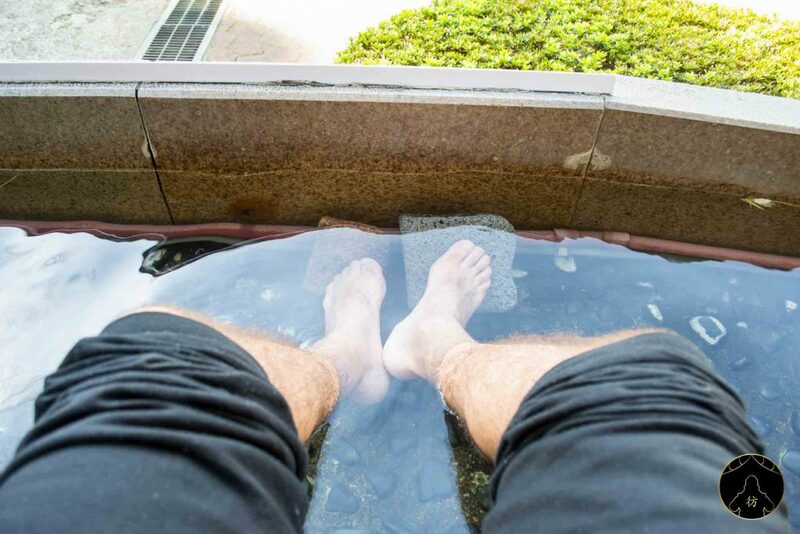 It also offers an open-air onsen, which is in my opinion an undeniable asset! So the first time I went there, I stayed at K’s House but it was unfortunately full the second time I visited the town. So I decided to go for the Samurai Oyado Guesthouse in Odawara. 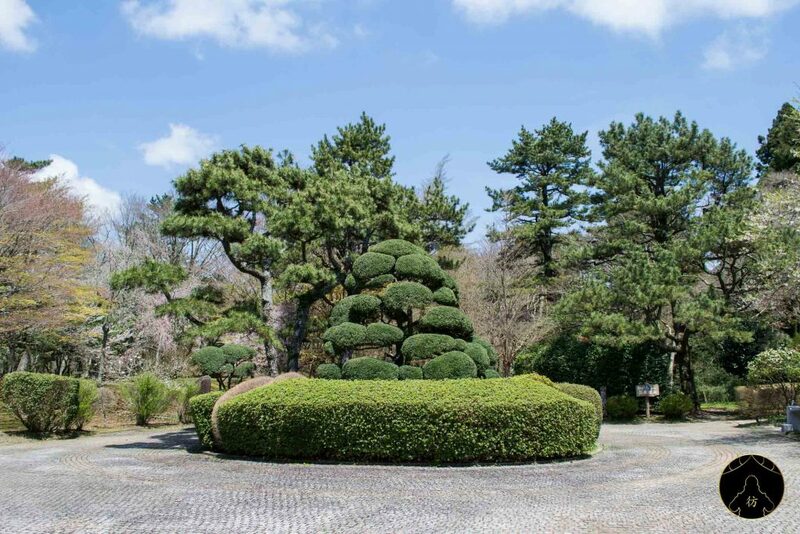 It’s even cheaper than K’s House and is located near Odawara Castle which we’ll talk about later. You have to stop at the Hakone Sekisho Mae bus station to visit the Checkpoint. What’s that you say? Well, during the Edo period, Hakone was a border checkpoint where travelers and goods entering or leaving the Edo capital were inspected. Edo is Tokyo’s former name by the way. Let’s not bore you with history details and have you check this Samurai Champloo bit instead! I’m sure you’ll get what I mean after that. Hakone’s Checkpoint is therefore a historical site that illustrates the authoritarian regime back in the Edo period in Japan. 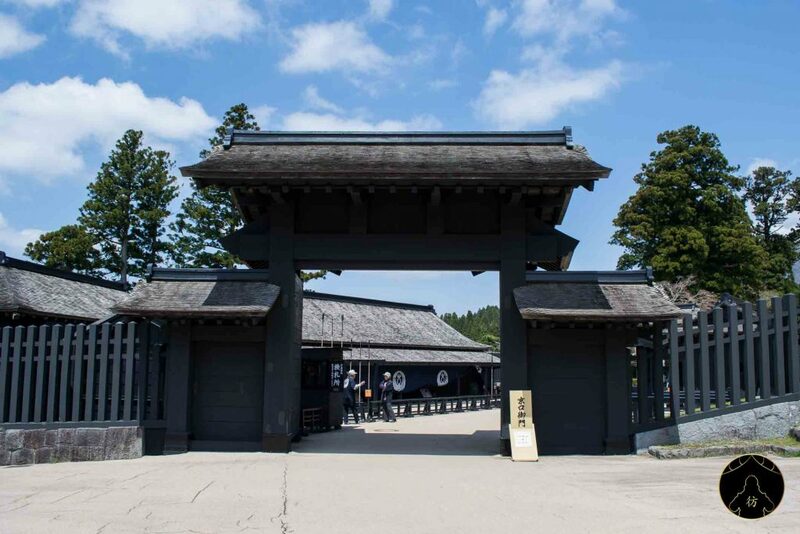 You’ll come across two huge gates like the one in the picture below, one leading to Edo and the other to Kyoto, the former imperial capital. 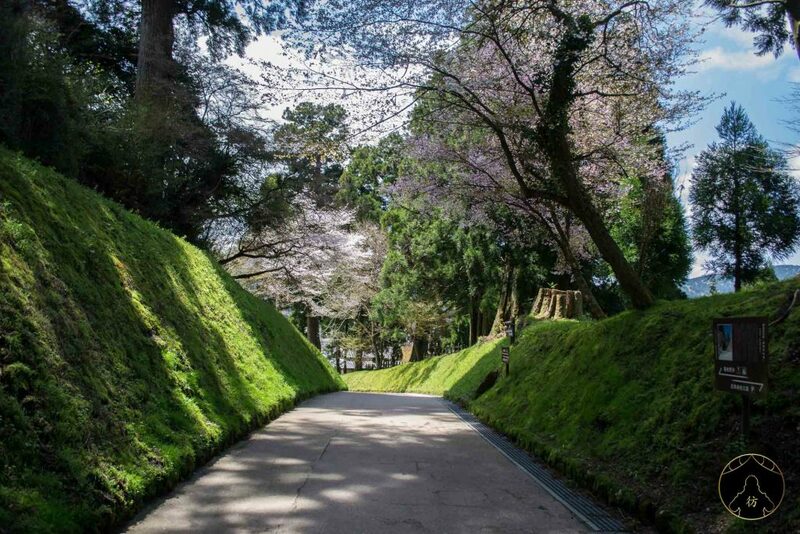 The Onshi Hakone Koen park is absolutely mesmerizing, especially during the cherry blossom season. It’s located right here, near the Checkpoint. 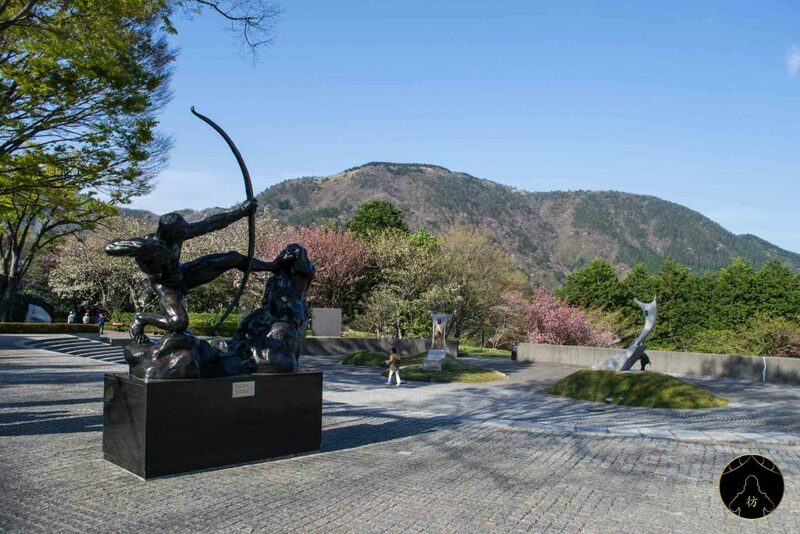 Located high up in the mountains, this park offers terrific scenic views of Lake Ashi and Mount Fuji. I cannot recommend this place enough so if you have the opportunity to go there, get yourself lost in the landscape! 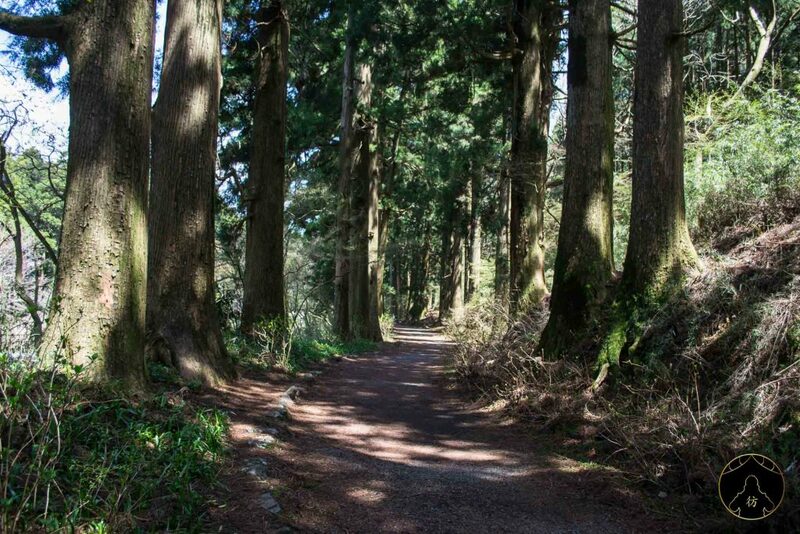 After your little stroll in the park, you can head to Lake Ashi by crossing the wonderful cedar forest, also known as Ancient Cedar Avenue. 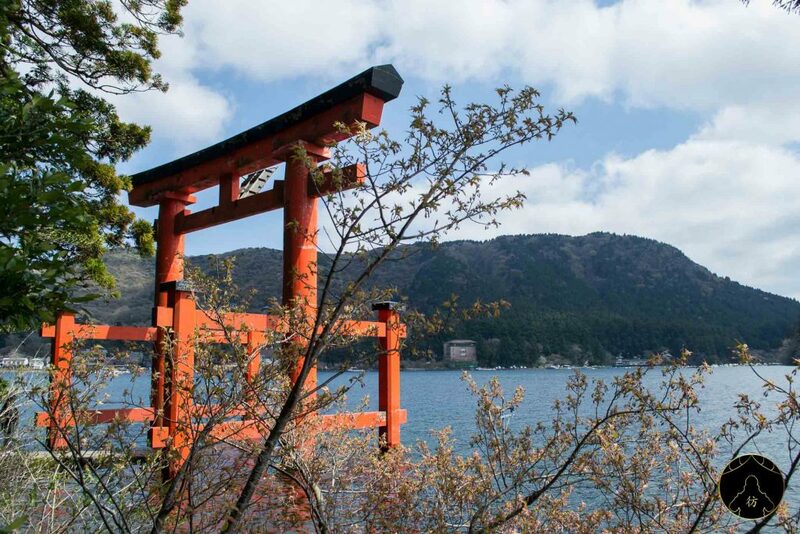 Once you get to Lake Ashi, these amazing views will blow your mind. You might also notice a few boats coming and going. 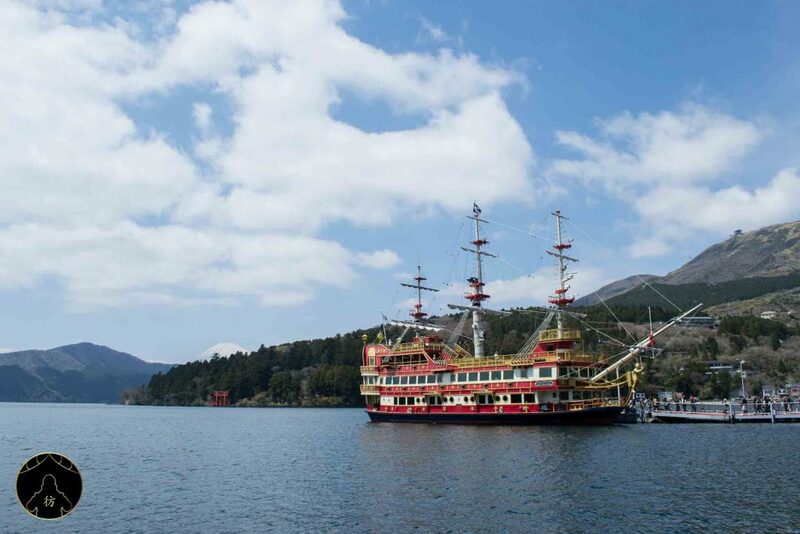 If you’ve purchased a Freepass, boat trip costs on Lake Ashi will be covered. 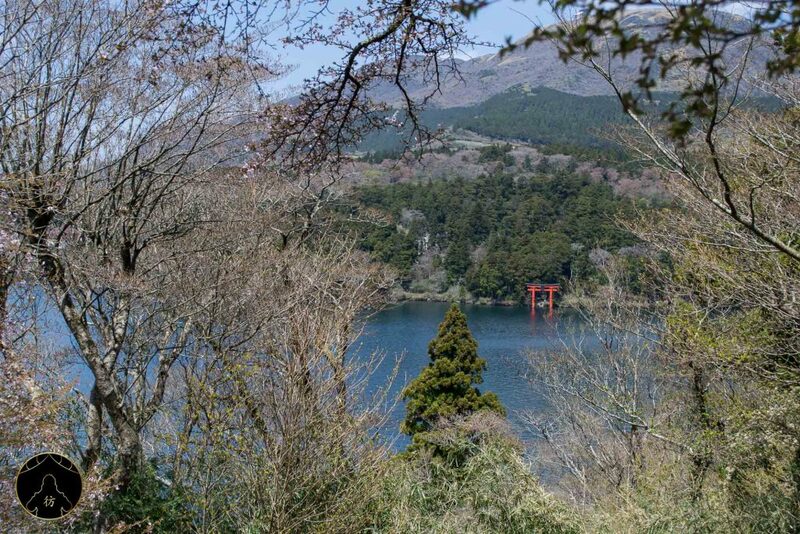 But before boarding, walk along the lake until you get to the Hakone Jinja Shrine’s torii. 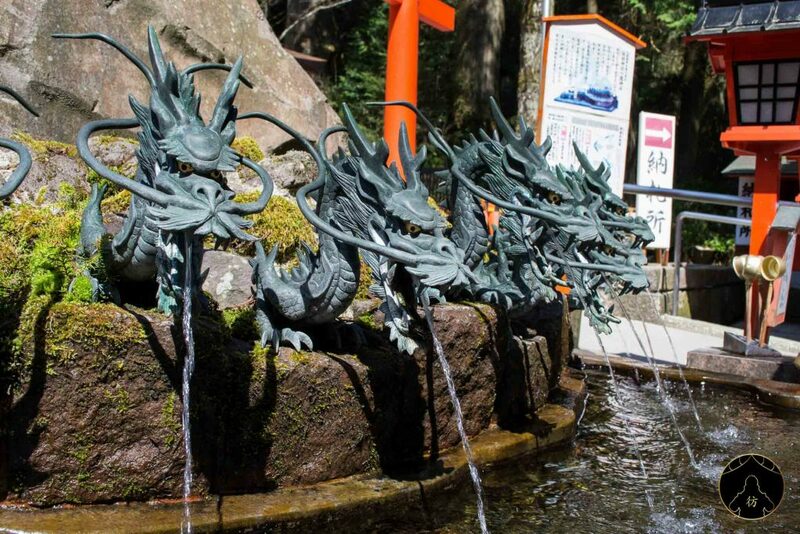 The lake Ashi in Hakone is actually part of our top 10 places to visit in Japan. 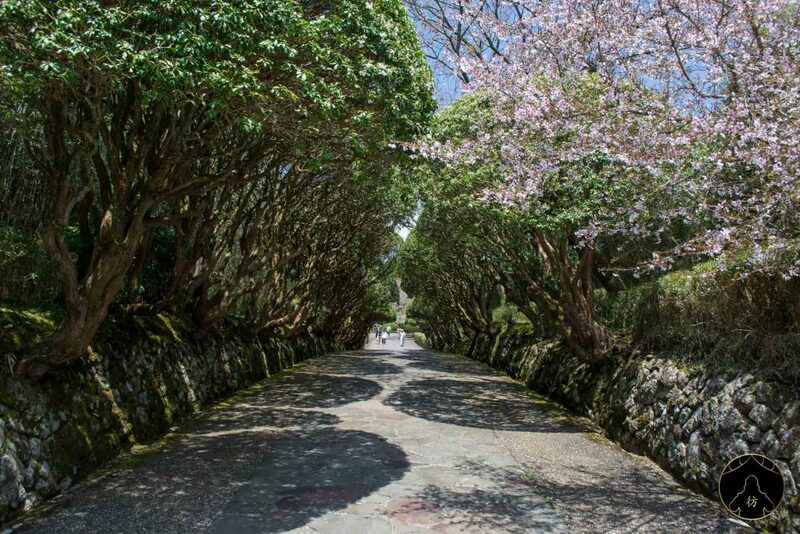 Check out the rest of the list here: Most Beautiful Places in Japan. 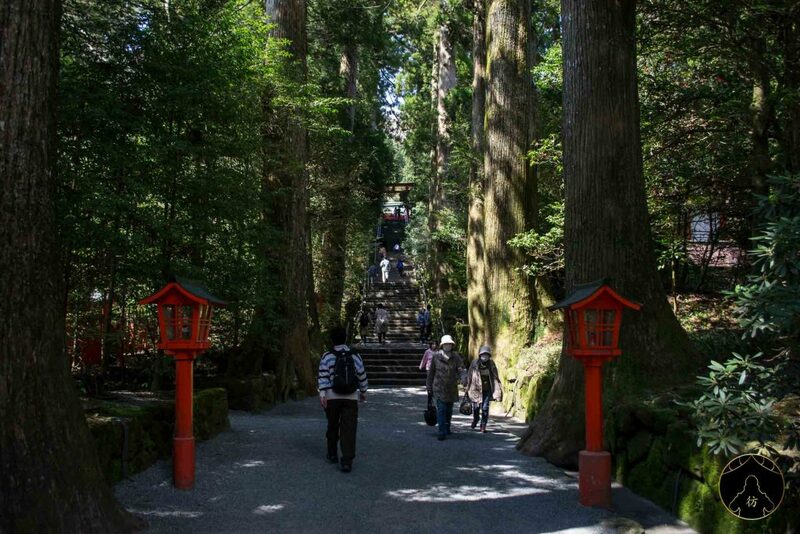 As you can see, the Hakone Jinja Shrine is nestled in the forest and that gives it a unique appeal. 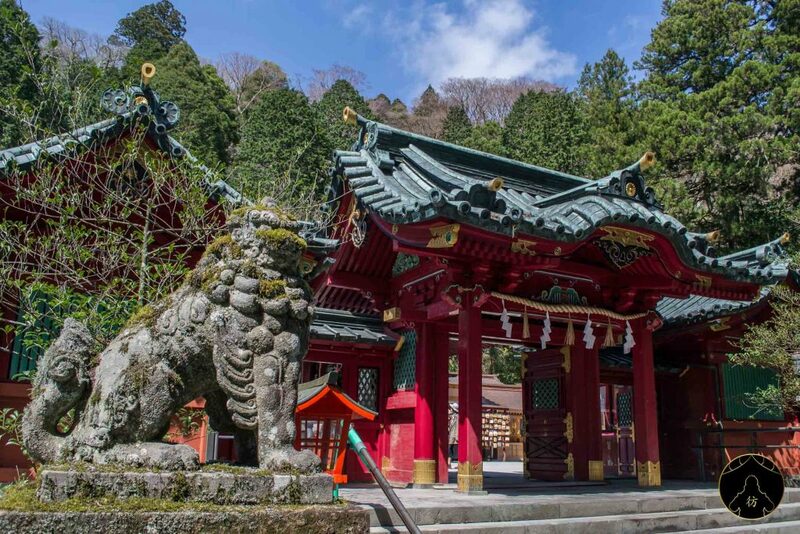 There will be some stairs to climb, then you will meet the guardian lions of the shrine. 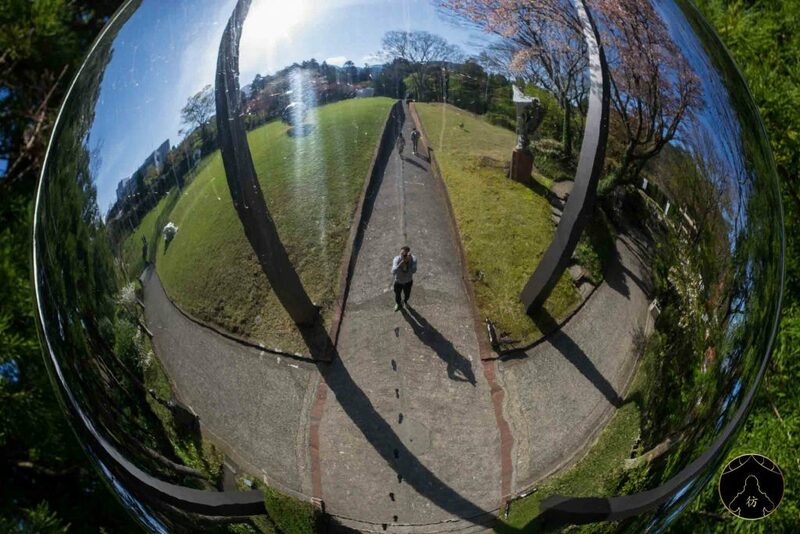 The Open Air Museum is another attraction not to miss in Hakone. It’s right next to Kowakidani station and you can get there if you take the very old but absolutely charming Tozan train. 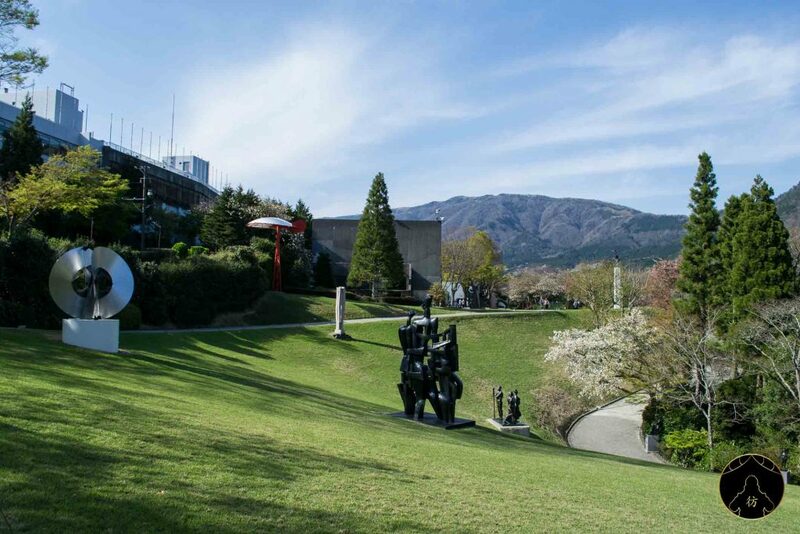 The Open Air Museum is a huge museum where great works of art are displayed, including ones that allude to Picasso’s works. 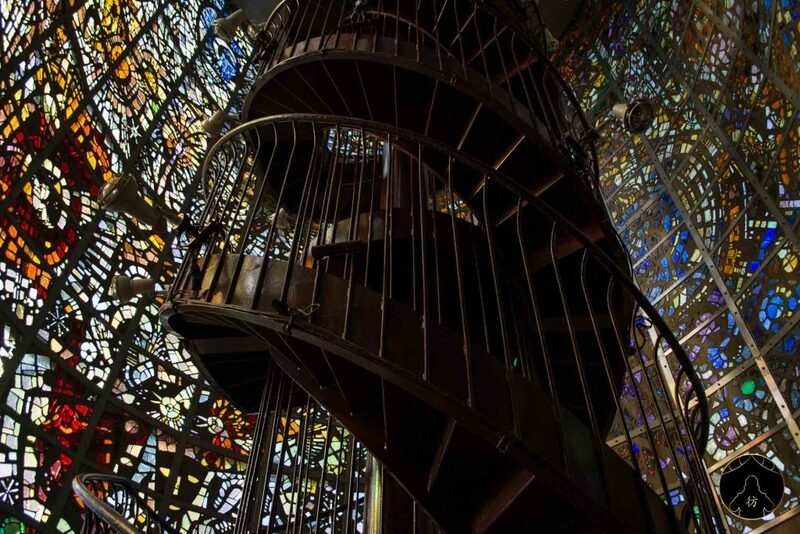 I think this is a must-see attraction, especially in good weather. 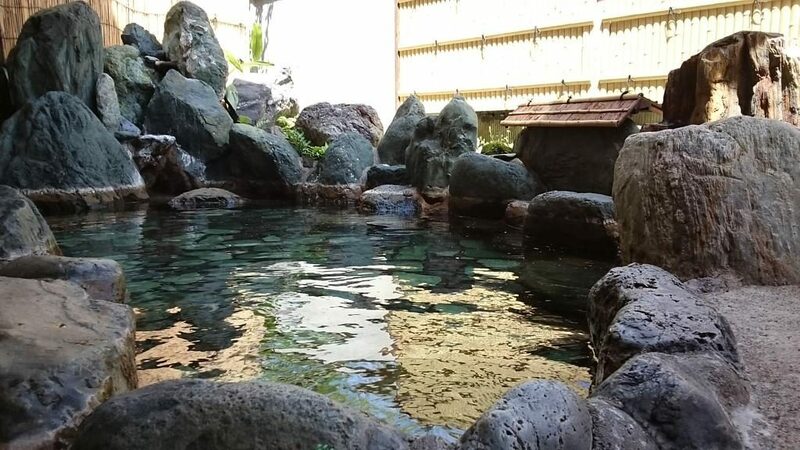 If you’d like to have an even more enjoyable trip, you can visit an outstanding onsen called Yunessun to relax and unwind. Apart from traditional onsen, Yunessun offers sake, wine, coffee or matcha-flavored baths, and many more activities and attractions to try. 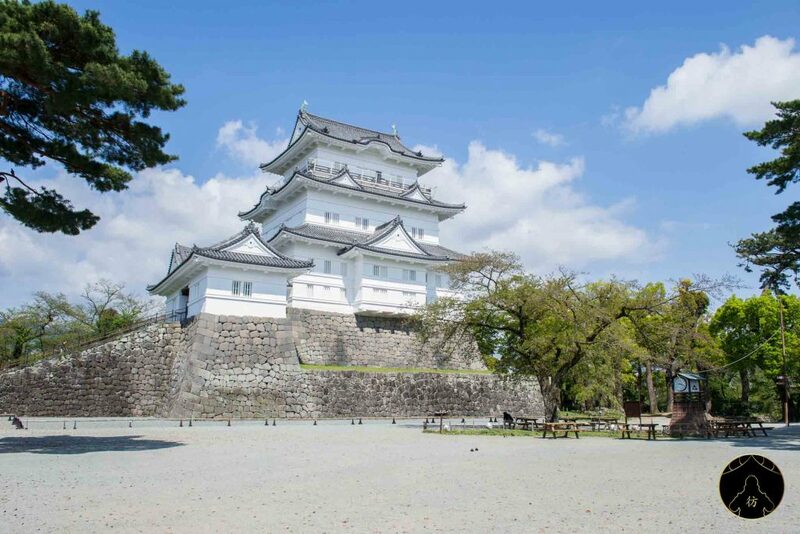 Last but not least is Odawara Castle. 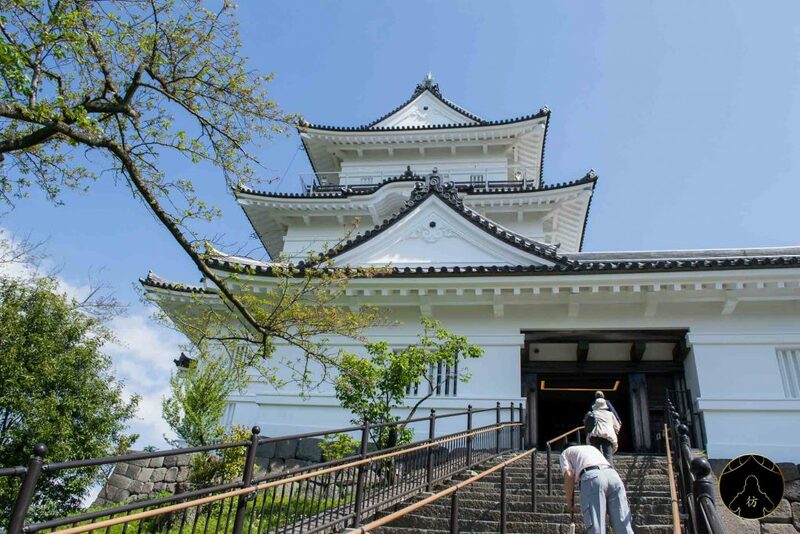 Odawara station is only two stations away from Yumoto station so don’t miss out on Odawara Castle if you’re visiting the area. Here’s it the exact location. You can go inside the castle but you’ll have to pay around $4.5 for that. There you go, Hakone has no more secrets for you! 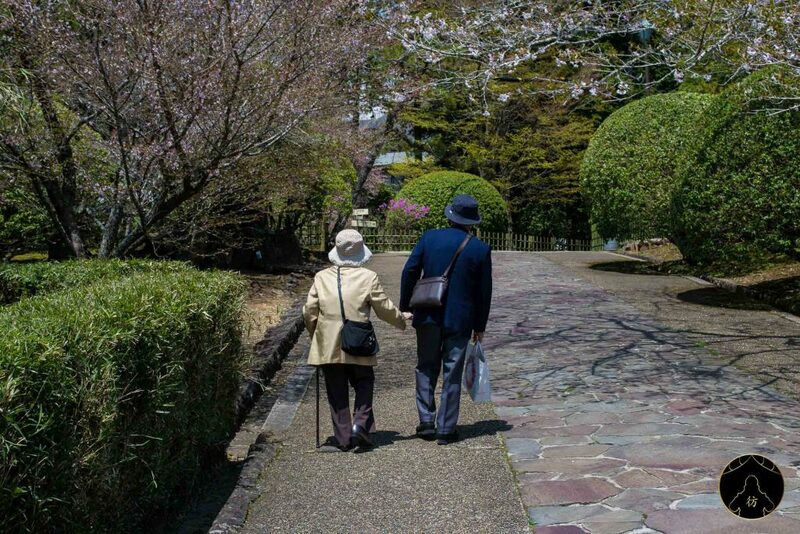 I hope you like this blog post and that it will help you plan your next trip to Hakone. Please share it around and ask me any questions you have in the comment section below! Don’t forget you can follow me on social media for more tips on how to travel in and around Japan and Asia by subscribing to my Facebook, Instagram and Pinterest.